Yes. THIS. 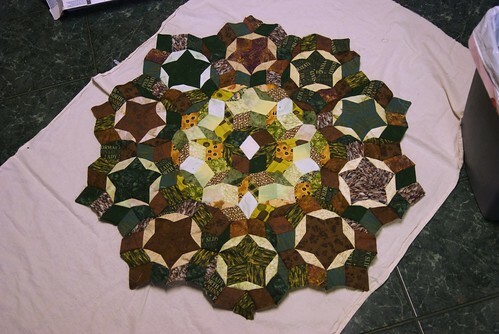 I think this is the first time anyone's done this Penrose variant in quilt form. Now to ... sigh ... finish out the background. But this center medallion is definitely the star of the show.